WILMINGTON, MASS. 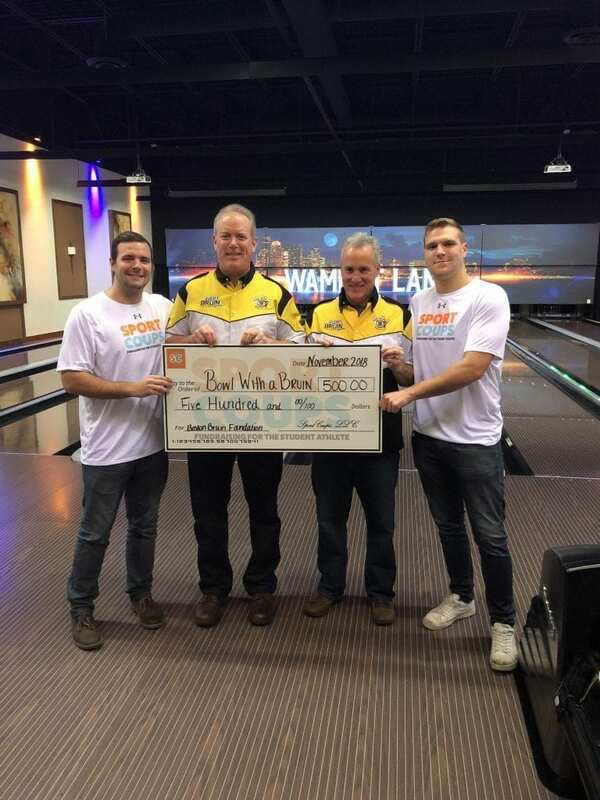 (November 8, 2018) – SportCoups is proud to announce our official sponsorship of the 2019 “Bowl with a Bruin & Friends” to Strike Out Cancer Bowling Tournament. 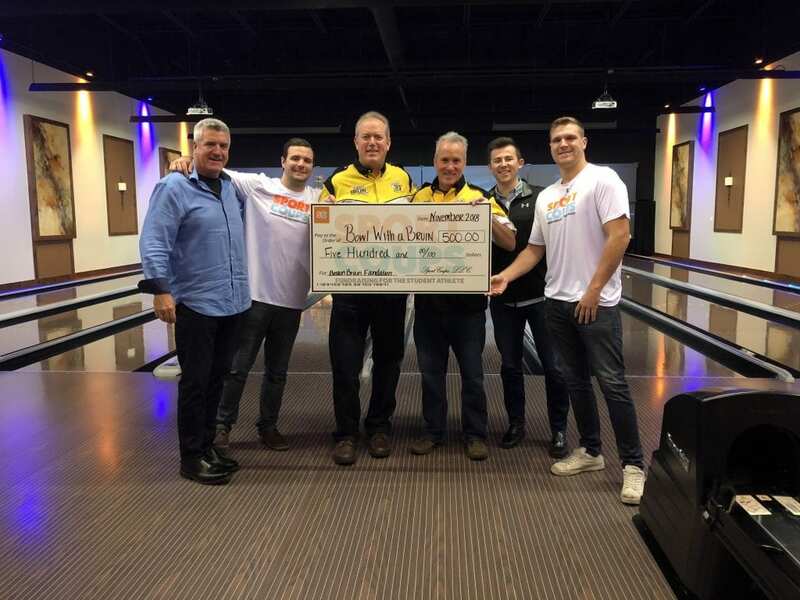 This past week members of the SportCoups team presented a $500 check to two members of the Boston Bruins Foundation Pan-Mass Challenge Bike Team that will kick-start their 2019 “Bowl with a Bruins & Friends” campaign to raise funds for research and patient care at the Dana-Farber Cancer Institute. 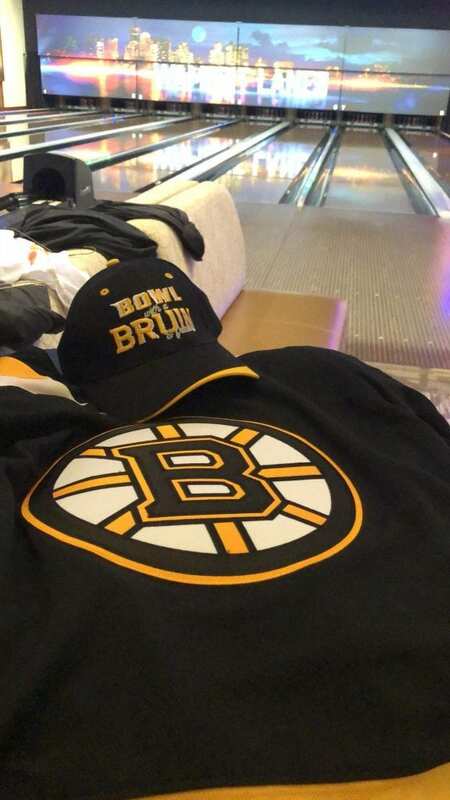 Each year the Boston Bruin Foundation hosts a celebrity bowling tournament at Wamesit Lanes in Tewksbury, MA where former Boston Bruins, NE Patriots, and local celebrities join teams of enthusiastic bowlers for a day full of fun and giving back. 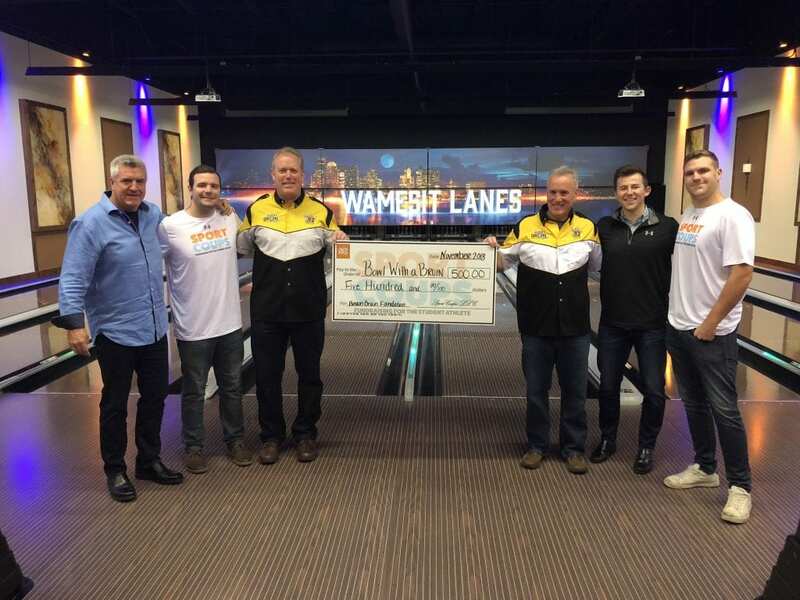 Proceeds from the event will support the Boston Bruins Foundation’s commitment to raising funds for the Dana-Farber Cancer Institute at next year’s 192-mile Pan Mass Challenge bike ride. 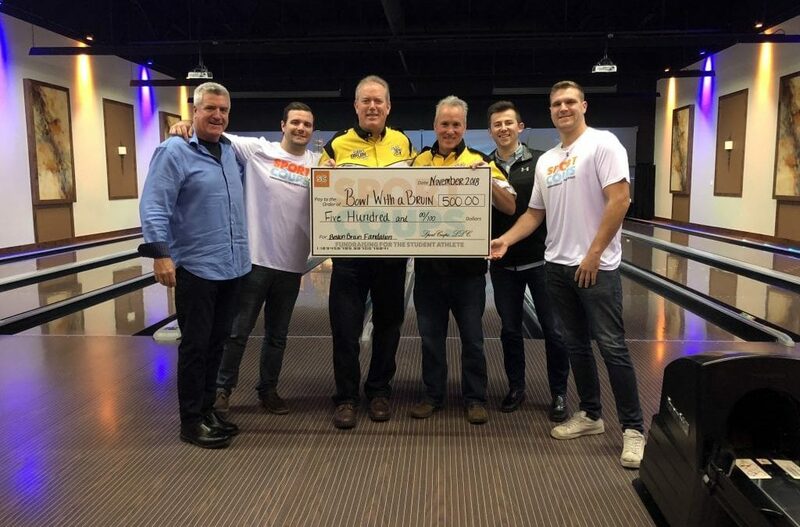 Pictured below, along with the SportCoups team, are Bowl with a Bruin & Friends event organizers Frank Simonetti (Former Boston Bruin and 12-year Pan-Mass Challenge Rider) and Rich MacDonald (9-year Pan-Mass Challenge Bike Rider).